Dixon’s Downtowner-Crushing Bus Idea Set for a Re-Up Vote on Tuesday. 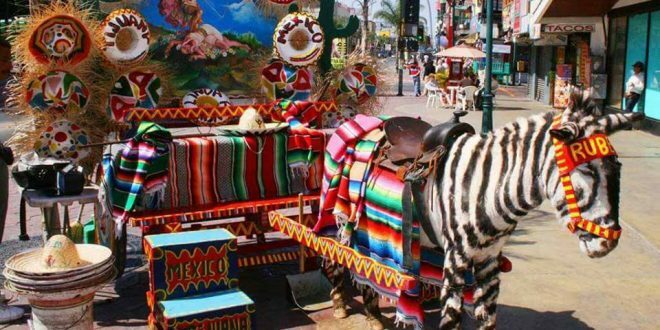 Remember when Dixon tried to pass the bus-painted-like-a-trolley last time– (all while insisting it was a “real trolley”, much like this “real zebra” in Tijuana)? She was going to use taxpayer money to subsidize $22 PER RIDER, PER WAY transit from a private company. All of this was done at the direction of a few of her friends near the Balboa Pier that would professionally benefit from it at the expense of the taxpayers. Last time, she was joined in her vote by Councilmembers Avery and Herdman. These weren’t suprises because these two councilmembers have readily admitted that government is confusing. The shockers, though, were councilmembers Will O’Neill and Duffy Duffield, both of who vowed that they were fiscally conservative, supported small business, and opposed socialism. In their vote, they spent hundreds of thousands of dollars in taxpayer money to create a crony, socialized business which put our beloved Downtowner out of business. To solidify money for this year, City Staff informed the company hired that it needed to hit a certain number of riders per day to keep their contract, but that they would “trust the company to report accurate numbers” and that the city would not double-check any of the work done to tally these figures. 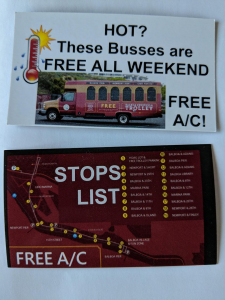 Suddenly, the buses reported a surge in ridership, and the same buses that had 3 riders (all homeless people seeking air conditioning from the summer heat) were now being reported as “FULL BUS” on paper. This is something that everyone on the peninsula knows is patently false, but this is the way that crony government programs continue: Through lies riddled with plausible deniability from the council’s side of things. “We didn’t know nobody was double checking their work” will be the call from the councilmembers defending this failed venture. “Maybe we should spend another hundred thousand or two of taxpayer money to see if we can make it work again”, they will say. But what does the bus actually DO? Well, functionally it is a mobile homeless shelter for about 5-10 regular passengers and a personal transportation service for another 5 people, all of whom I am sure will show up to the councilmeeting to speak in support of the idea, as they are clearly not opposed to grabbing tax dollars for their own personal use or business gain. And where does the bus stop? Only at predefined locations set by city staff– who I am sure weren’t influenced at all by the local business owners to stop at their businesses and to bypass their competitors. So what is the solution? Well, even with the laughably-untrue numbers coming out of the city’s official paperwork, this trolley supposedly costs about $10 per rider, per way. The city’s own estimates are that 2.3 people are in each car, on average, making a family trip cost taxpayers a whopping $23 for a ride down the peninsula, on average. By comparison, an Uber or Lyft– which take up far less space and are far more maneuverable than a bus– costs about $6 for all 2.3 people to ride on that very same route. Or, we could stop the practice of socialism and welcome free market players like the Downtowner back into the game. But even if the city council is dead-set on creating socialized businesses: The city could be saving about 3x the money if they simply geofenced the area and paid for everyones Uber or Lyft. 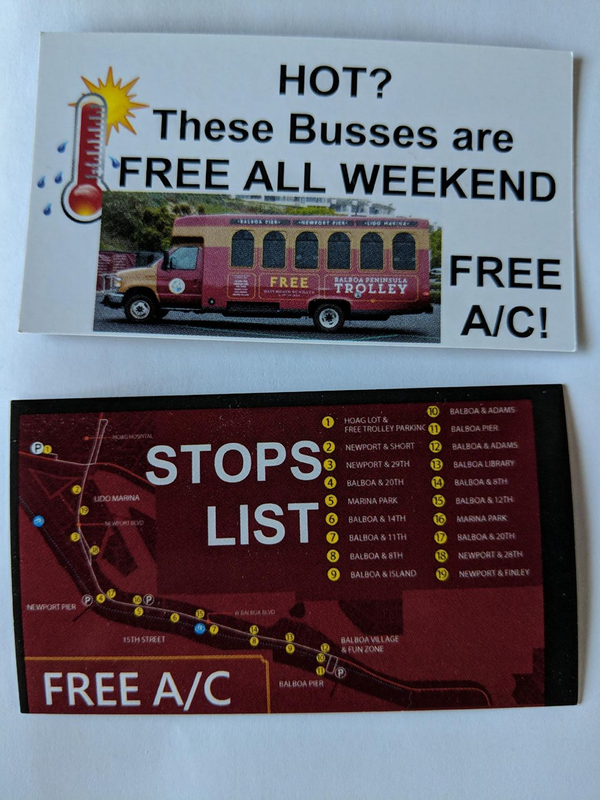 It’s pretty difficult to rally people in opposition of a bus that proclaims itself to be “free” (despite the outrageous cost of the actual service to taxpayers), bus when we see the traffic jams caused by these contraptions during our busiest months, and when we see the businesses that are being starved out of existence due to socialized programs, when we see the cronies who have arranged for the bus to stop by their establishments rather than their competitors– that’s when governmental overreach becomes obvious and harmful. That’s when it really hits home. Think this is a bad idea? A good idea? Email city council at citycouncil@newportbeachca.gov and let them know what you think. If you get a black and white response that is about as believable as that zebra, simply forward it to michael.glenn@devion dot com and I’m happy to help make sense of it.